People attend college with the hopes of graduating and landing their dream job - or for some, just a job in general. Students obtaining higher education and a college degree are searching for their place in the working world. Unfortunately, a lot of them don’t know where to begin. That’s where career services come in. In career services, one of the most common complaints about career fairs is the time wasted standing in line. 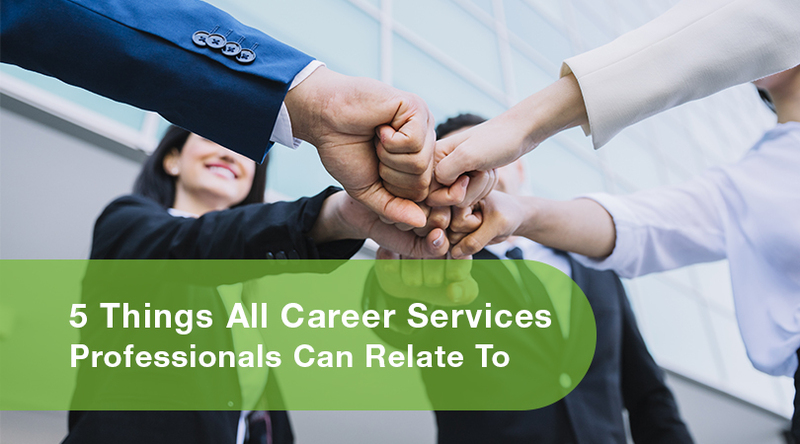 Students spend weeks preparing for this event and often do not get to speak to many employers, or even visit all of the booths because they spend too much time waiting in line to speak to recruiters. Luckily, Skip The Line from Career Fair Plus is the perfect solution to solve this problem. It’s normal to feel nervous or anxious about a career fair. The potential to secure employment is a lot of pressure, and that anxiety can often be a student’s downfall. 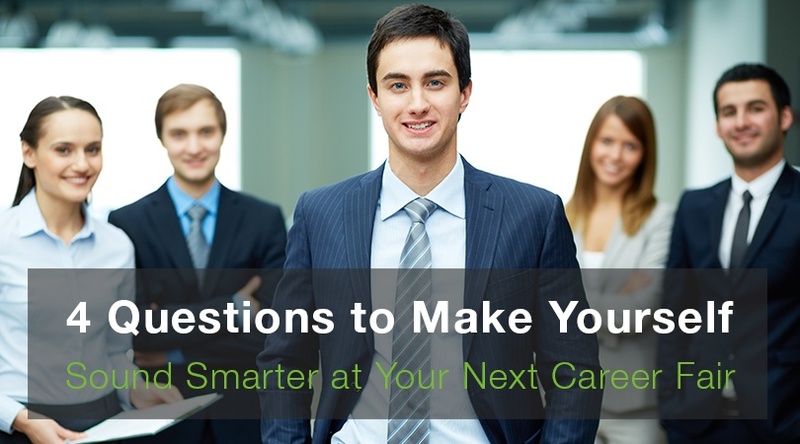 However, knowing the right questions to ask at a job fair, can help students be successful even if nerves get involved! There’s no doubt that prepping for a career fair is a lot of pressure. These couple of hours have the potential to change your future. When facing this stressful day, students do well when they use whatever resources are available to make this experience less stressful. 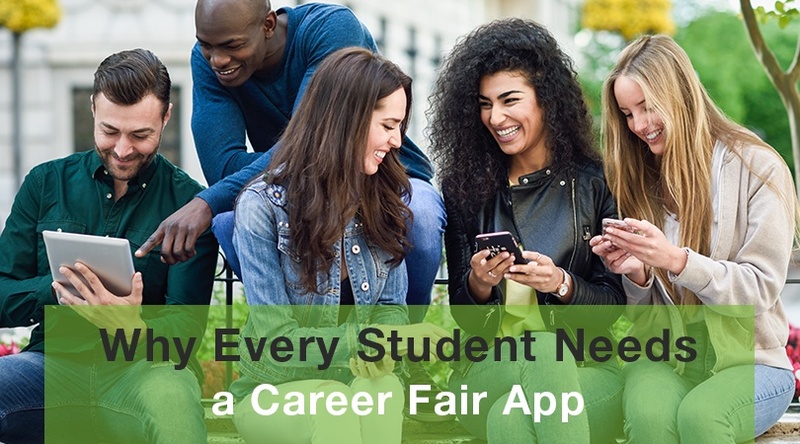 Students who use a career fair app make their day at a career fair easier. When people say your fate is in your hands - it’s true! 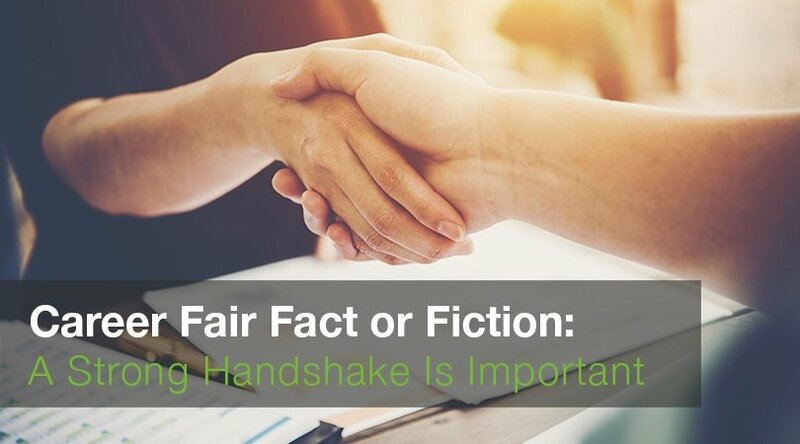 One factor that a lot of students forget to practice is the ever-important career fair handshake. It may sound silly, but the way you shake a potential employer’s hand says a lot about you - and you want to make a good impression, right?